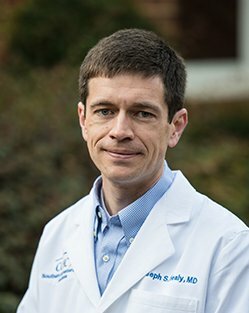 Dr. Healy completed an undergraduate degree in Biology at Wake Forest University in 1998. He attended the Medical College of Georgia and graduated in 2002. He completed an internship and residency in Internal Medicine at Wake Forest University Baptist Medical Center in 2005. He remained at Wake Forest University Baptist Medical Center for his fellowship in Gastroenterology. Dr. Healy is board certified in Internal Medicine and Gastroenterology. He joined the private practice of Southern Gastroenterology Associates in 2008.